The crowds came out in their support of Caldicot Town Team by attending their annual Family Fun Day in their hundreds last Friday. The event took place in Caldicot town centre on Friday 3rd August. Visitors were greeted with live dinosaurs, performances from local community groups and balloon modellers and beautiful princesses. We have included a gallery of images from those enjoying the day. 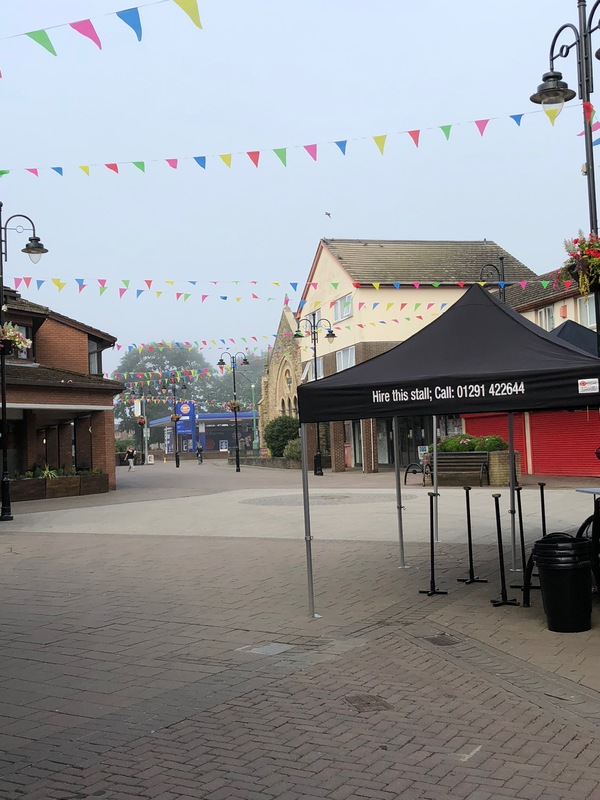 Local businesses also took part, with Essence of Beauty offering Glitter Lips, Ladybird Pottery doing face painting and Clarkes Butchers selling their famous Breakfast rolls, Country Flowers also took part, selling helium balloons throughout the day. Colourful bunting helped add the atmosphere, which was recently put up by volunteers of Caldicot Town Team.